Many feel that qiou, which means dirt poor and ugly, describes their current situation beautifully. The word 'qiou' has become a huge hit on Weibo. 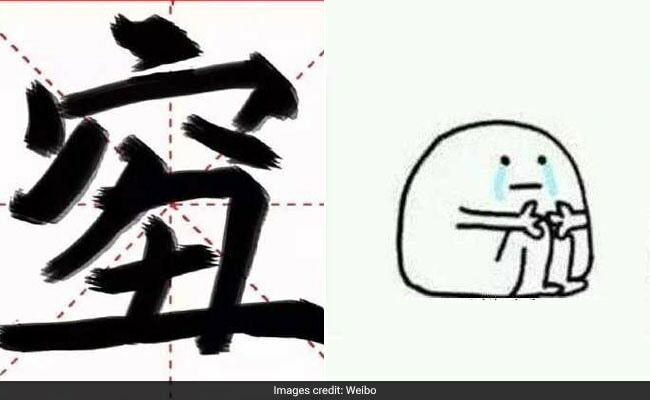 According to What's On Weibo, the character qiou has become an instant hit with young people on Weibo, China's hugely popular social media website. Many on the platform have stated that in this day and age of "staggering house prices and unrealistic beauty ideals", qiou describes their current situation beautifully. Qiou was, in fact, even dubbed unofficially as the word of the year 2018. Shanghaiist reports that the hashtag quiou was used in about a million posts on Weibo. While there is no indication that qiou will be officially included in the Chinese dictionary, that hasn't quelled its popularity in any way. What do you think of this character? Let us know using the comments section below.